Two Boy Scouts from Newark Valley Troop 30, Senior Billy Knight and Freshman Jason Knight, recently completed work on the multiple-use trails at Oakley Corners State Forest as part of their Eagle Scout projects. Both scouts worked with Tom Harvey, the trail steward for Oakley Corners to plan and execute their projects. Jason organized 14 volunteers to install four culvert pipes to make several of the trail-stream crossings safer for hikers, trail runners, cross-country skiers, and mountain bikers. Jason worked with Lands and Forests Staff to coordinate trail work and the Division of Operations to have culvert pipes cut and delivered. The project took about 119 man-hours to bring the pipes to the sites and have them properly installed. Due to the high rainfall this September, one culvert started to wash out, so an additional 15 man-hours was spent fixing it. Billy managed 16 volunteers who assisted in his project to re-mark the trail system. There were many spots along the trails missing trail markers and several confusing intersections where trail-users could get turned around. Billy coordinated with Lands and Forests Staff, who supplied enough DEC trail markers for each trail. Billy and his volunteers spent about 90 man-hours putting up new trail markers along the whole trail system and making and installing directional signs for trail intersections. 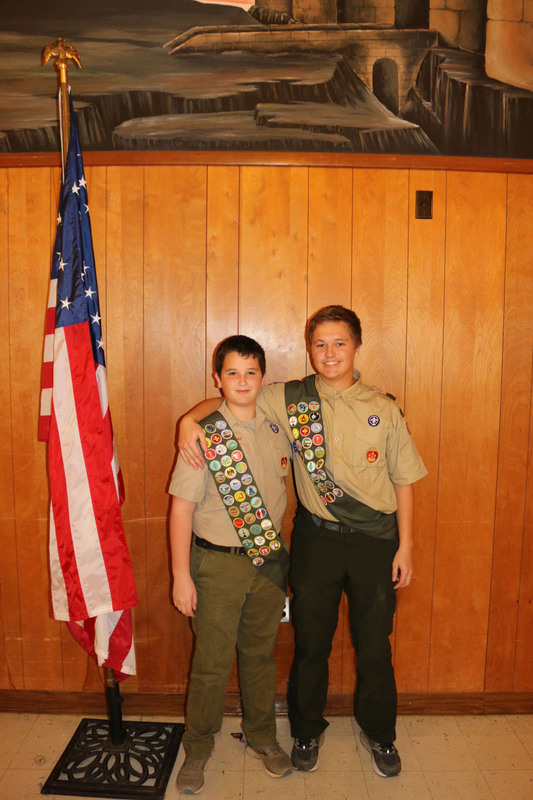 The brothers have been involved in Boy Scouts for 4 years. In the past, they have also helped park cars at the Apple Fest, collected food to replenish the local food pantry, placed flags on veterans graves at all the local cemeteries and performed a flag retirement ceremony to properly dispose of worn flags.